Earthen pits are used to store or evaporate produced water and wastewater from natural gas dehydration or natural gas separation units. Additionally, prior to disposal of drilling wastes (muds and cements) and hydraulic fracturing (fracking) wastes, these wastes are often stored in earthen or metal pits that are open to the air. Hundreds of different chemicals are used during drilling, fracking, and work-­over procedures, including acids, biocides, surfactants, solvents, lubricants and other chemicals. Chemical compounds that are naturally present in natural gas or chemicals that have been injected downhole during drilling, hydraulic fracturing, or well workover operations, will be present in the water or wastes that are held in pits. Some of the lighter or more volatile chemicals and compounds, such as benzene, toluene, and hydrogen sulfide will escape from the produced water pits into the atmosphere. Some of these pits are unauthorized and unpermitted and sometimes do not even contain a liner to protect the soil and groundwater from becoming contaminated. 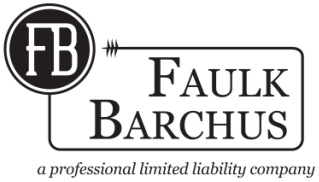 If operations or a pit on your property have caused you damage, call an experienced attorney at Faulk Barchus to ensure your rights are protected.